The suspect struck one employee with a deep fryer basket and punched the 2nd employee in her face. 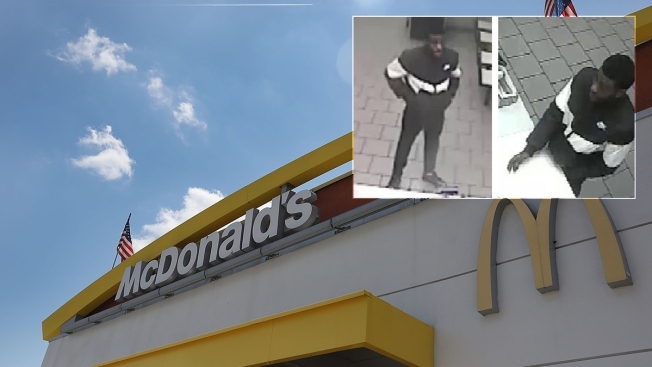 A man attacked a McDonald's worker with a deep fryer basket and punched another in the face when they told him the restaurant was closed, police said. The man got into the fast-food store in the Bronx on Jan. 11 through an unlocked door around 5:30 a.m., according to police. Workers there told him the restaurant was closed. The man threw a fit, hitting one 20-year-old woman with the deep fryer basket and punching the other 21-year-old woman in the face, police said. The suspect then took a set of keys and ran off on University Avenue toward West 176th Street. The first woman was taken by EMS to Bronx Lebanon Hospital with bruising, swelling and pain to her hands. The other woman declined medical attention.